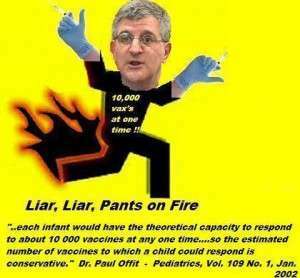 Dr. Paul Offit, the arrogant pediatrician, author, and roto-virus vaccine inventor millionaire and CDC vaccine schedule committee insider, once proclaimed babies could handle 10,000 vaccinations but later amended that to 1,000 inoculations to reassure parents submit their babies to the full CDC vaccination schedule. Offit’s latest campaign is to overturn any and all state exemptions allowing people to refuse vaccinations. He believes no one should be allowed to avoid vaccinations and claims those who do endanger all. One of his seven published books is titled Deadly Choices: How the Anti-Vaccine Movement Threatens Us All. Unfortunately, this “devil’s humble servant” as he remarked about himself once, is highly regarded and eagerly interviewed by the mainstream media in addition to his books being favorably reviewed. Parents of vaccinated children tend to keep their kids from being around children not vaccinated. The question that should be asked is “if vaccines really work, why are you concerned”? But logic doesn’t work on these people. Matter of fact, oral and nasal mist vaccines with live or attenuated (not quite dead) viruses shed, create viral infections among others for up to two weeks. Dominick Tenuto was stricken with polio after changing his daughter’s diapers in 1979. The daughter had just returned from being given an oral polio vaccine (OPV). Soon after he sued the vaccine manufacturer, Lederle Labs. Finally, 30 years later Dominick won his case and was awarded $22.5 million. Whenever an outbreak of a childhood disease occurs among a highly vaccinated population, they’re supported by “official” statements in the media of how the outbreak was created by those little monsters of evil parents who refused the shots. There have been schools who ban unvaccinated kids from attending during a childhood disease outbreak that usually involves vaccinated children! Makes no sense at all. It just indicates that vaccinations don’t work, if you’re rational. But vaccine advocates are not so rational. That’s why fear and guilt work so well on the vast majority who favor vaccinations. Anti-vaccine advocates are more concerned about the right to say no to vaccines than wiping vaccines from the face of the earth, although that’s not a bad idea, eh? 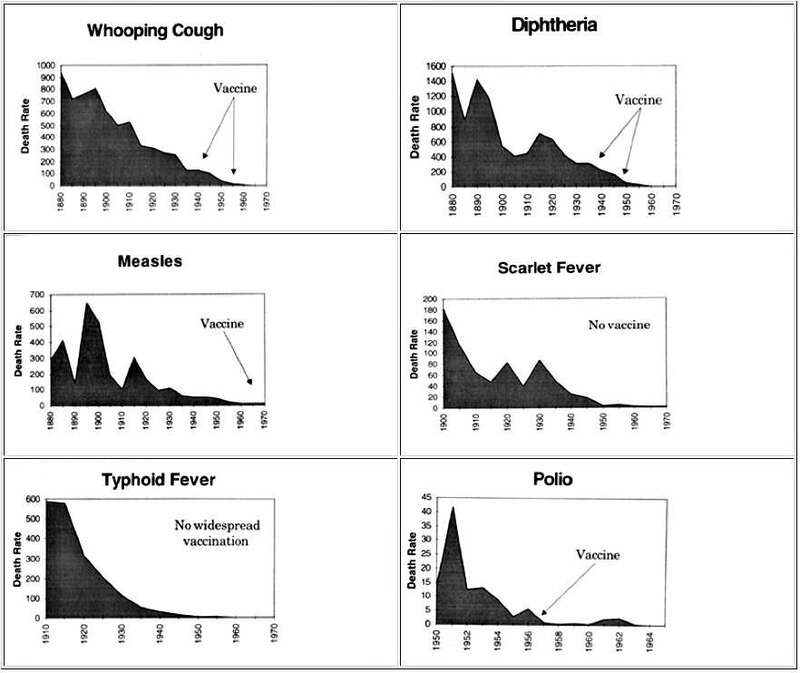 So what’s the big deal about a minority of the wise and informed refusing vaccinations? Well, it threatens Big Pharma’s bottom line, especially with their sales to governments and efforts to increase sales by having governments enforce them on newborn babies and preschool children. 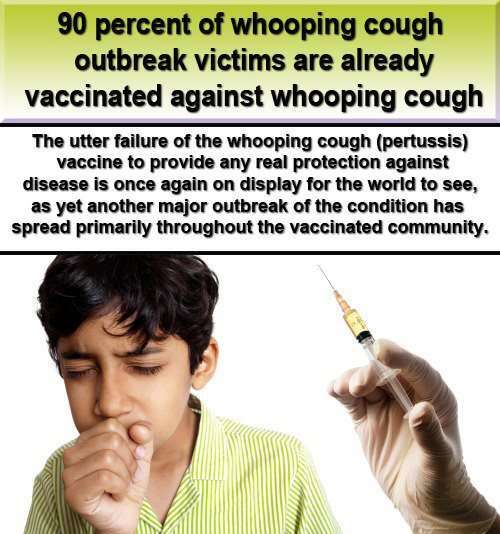 So they use the herd immunity guilt card and wave it in their faces, which is if at least 90 percent of any population is vaccinated against a particular disease, that disease vanishes due to “herd immunity”. That can be enough to make anyone sitting on the fence of to vaccinate or not vaccinate succumb by feeling guilty about breaking the attempt at herd immunity. The big lie that refusing vaccinations endangers humanity is used to push guilt buttons, and it’s not even remotely true. The most recent glaring example occurred on a small Navy ship. The Department of Defense (DOD) requires that at least 90 percent of all military installation units are injected with annual flu shots to avoid incapacitating flu breakouts within them. The USS Ardent, a small mine countermeasures (mine sweeper) ship with a crew of 102, of whom 99 percent had received flu shots, reported a breakout of influenza with 25 crew members reporting sick with influenza like illnesses (ILI). Tests confirmed that 20 of those in sick bay were afflicted with influenza type A, 18 with subtype H3N2. The ship, docked in San Diego, sent everyone home while thoroughly disinfecting the vessel. Tight quarters in the small ship were blamed for the event, even though virtually everyone had been given the flu shot. The CDC actually reported this episode factually while including the propaganda that since the DODs declaration of ensuring vaccine inoculations in 1950, the military has been well protected against those diseases. There have been many breakouts of measles, whooping cough, and mumps among highly vaccinated preschool and school populations over the past few years. Those news items don’t get past local or alternative media coverages. One of the PR tricks is to claim unvaccinated kids caused them. Another excuse is those kids needed more than even the recommended amount of booster shots. Trick number three, tuh-dah, label the breakout, especially polio like diseases with different names, thus creating new diseases to create yet more vaccines. Meanwhile, a lawsuit against Merck, filed by two former whistle blower employees of Merck a couple of years ago, which claims Merck lied about the MMR vaccine efficacy has been approved by a judge to be heard in court despite attempts by Merck to quash it. The right to say no to vaccinations by individuals and parents needs to be preserved. If many get sicker or die from vaccinations, so be it. The AMA and Big Pharma have plenty of business from existing fools. Some of us are content with building our immune systems to prevent disease and don’t feel the need to create more business for the disease-care system. Tagged crooked health care, vaccines. Bookmark the permalink.